West Lafayette, Ind. – Cook Medical is pleased to announce the promotion of Umesh Patel to president of Cook Biotech Incorporated. 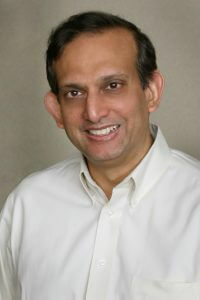 As president, Patel will oversee the various functions at Cook Biotech located in West Lafayette, Ind. Patel’s understanding of regenerative medicine and tissue-repair products along with his wealth of experience at Cook will ensure strong leadership for Cook Biotech and it’s employees. “Through his years with Cook, Umesh’s expertise in and passion for tissue-repair products has been instrumental in the success of Cook Biotech. These products have been sold by five of Cook Medical’s divisions as well as by seven non-Cook companies,” said Pete Yonkman, president of Cook Medical and Cook Group. “I’m confident that with Umesh’s leadership Cook Biotech will continue to thrive in the coming years. In 1995, Patel joined Cook Biotech as the operations manager and was responsible for operations and the manufacturing processes to produce extracellular matrix devices (ECM). He was then promoted to vice president of development/engineering in 2000. In that role, Patel provided leadership and direction to product development and engineering teams at Cook Biotech as well as defined the strategic focus for the development of ECM based medical devices. Patel earned his Ph.D. in industrial engineering in 1995, his master’s degree in electrical engineering in 1988, and his bachelor’s degree all from Purdue University.